I just committed a (hopefully!) exciting new feature to the GitHub repository: Stencil Masks! You can use any object as a mask, including e.g. Quads and Images. However, beware that the color and alpha value of the mask object is *not* taken into account, so an image with lots of transparency will still yield a rectangular mask. The advantage of stencil masks is that they are very lightweight; e.g. they do not require any additional texture memory. You need two draw-calls per mask (one to draw the mask to the stencil buffer and one to erase it). The disadvantage: a stencil mask is strictly binary, i.e. a pixel is either drawn or it's not. For soft masking, you still need the "Pixelmask" extension (or something similar). I'd be happy if some of you could try out that new feature and tell me what you think about it! If you've got any suggestions or find a bug, please let me know. EDIT: one more thing - in order for masks to show up in an AIR application, you have to enable the 'depthAndStencil' flag in the application descriptor. EDIT: I renamed the "Shape" class to "Canvas", and updated the sample and text above accordingly. Awesome news! Some very welcome features for Starling. Especially the masking.... I missed that for so many jobs in the past 😉 I'll test it a.s.a.p. When you say "any object", does that include DisplayObjectContainer? @henke: "any object" includes containers, yes! However, the namespace for Shape will clash heavily with the Starling Extension Graphics. 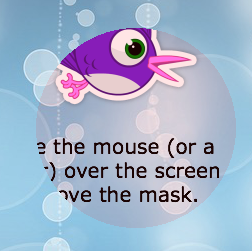 We were using "starling.display.Shape" to mimic the traditional Flash Shape class before. IonSwitz brings up the same thing I noticed about using the term Shape. For what it's worth, we use the Starling Extension Graphics a ton (uber-thanks IonSwitzh by the way!!!) and I'd love to see it rolled right into the native Starling code if possible. I would love to see refactored and "native" Graphics/Shape/Polygon features rolled right into Starling, instead of having it in a poorly supported Extension, and if I could help out, I would love to. So a rewrite, even in gradual ways, would be super cool. And, if you could, Daniel: Any advice on how I could re-write the SEG to not clash with your new stuff would be very welcome. Can the masked item use alpha? Cause then I guess it's possible to smoothen the edges by using a duplicate item that is 2px wider & higher with 50% alpha (only works with convex shapes). How would that perform compared to pixel masks performance wise ? In any case, yes, the existence of this new "Shape" class should be the start of gradually adding more features that are currently part of the graphics extension! Most of this will happen in Starling 2.x, though; which will break compatibility with the old graphics extension anyway. So I would be willing to change the name of "Shape" into something different, at least as long as we are in the 1.x tree. Any suggestions? The alternative would be to change the package of the same class in the "starling.graphics" extension (and maybe some others). However, this would still mean that users of the existing extension would need to change their imports. @neuronix: sorry, there's not alpha support in those new masks. That's not possible with the stencil buffer (which is simply an additional back buffer that stores an additional byte per pixel, and can be incremented in steps of one). So if semi-transparency or smooth edges are a necessity, they are not an option — unfortunately! That's the price of the better performance and practically non-existing memory requirement of those new masks. Very cool, Daniel. Masks are super important -- glad to see this improvement. I understand your current implementation minimizes memory usage and limits draw calls to 2. But what if there was a "3rd" draw call for some sort of anti-aliasing or smoothing pass? Or maybe a way of using a polygon shape where we amp up the number of sides / tessellations to simulate near infinite smoothness (at the sacrifice of performance of course..unless we can flatten 🙂 ). Or just a seamless way to "turn on smooth masking", thereby converting the stencil to a bitmap, blurring it a bit, and applying a blend mode? Performance aside (for a moment), having the option for *smooth* dynamic masks "on demand" could be very useful in certain situations. Or perhaps a post-process filter or shader could isolate the masks and help to give them the appearance of smoothness. Anyway just brainstorming. The stencils are very cool. I can see many applications for games and UIs. Thanks!